White (June 2016) is a part of an on-going process working on the concept of what memory means to us as human, and the nature of memory. The installation is dealing with time and spaces both the one lives in and one’s memory resides. White creates a space where two worlds meet with a Kaleidoscope of white. 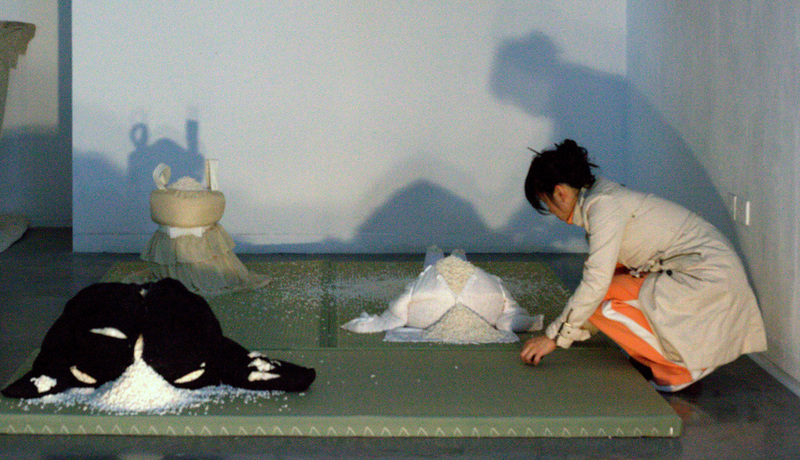 White visualises a broken memory through object casting and wedding dress making. 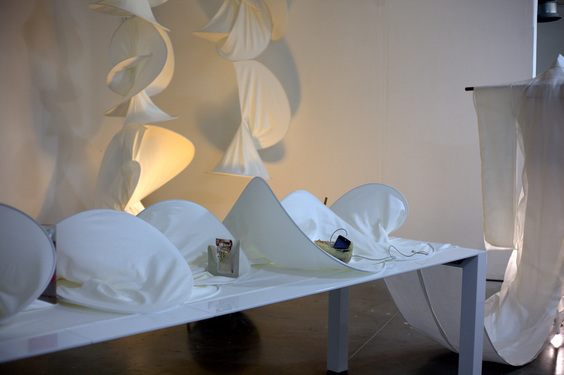 Through working with raw materials, family belongings, and real life objects; this installation tells a story of a broken memory. 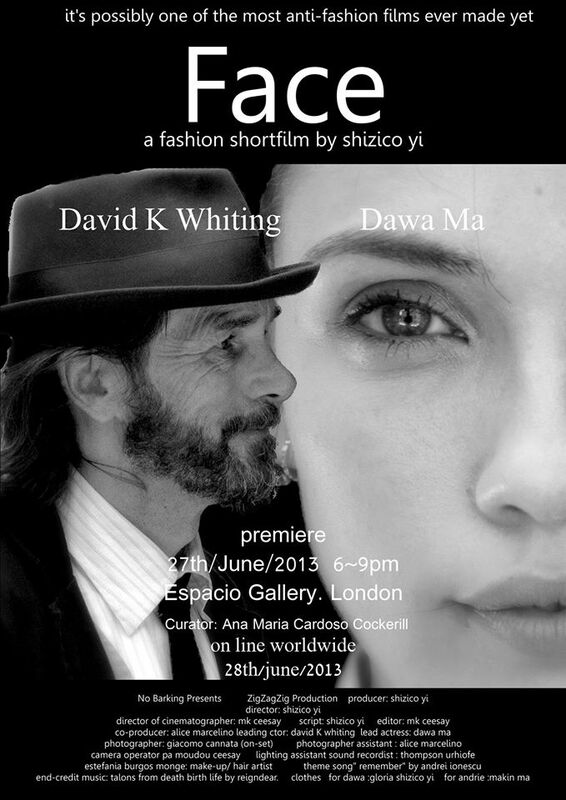 AVA Building, London: Showcase of Prof Doctorate in Fine Art, UEL. ​The process to get these images of Morning Archive is Shizu's profound poetic debate on human existence. These pictures are her internal murmurs for survival. Each picture of drying dishes is the left over memory from the night before. or at least, this created illusion of order gives comfort to chaotic life itself. Solo exhibition Lady in No 5, presents a chance to try new ways to show group of works from photographs to drawings Yi had made over the years (photos, drawings and etchings from 2013-2015). The upper level gallery created a surreal space that was real yet very dream-like, evocative for Yi working into a space of memory. 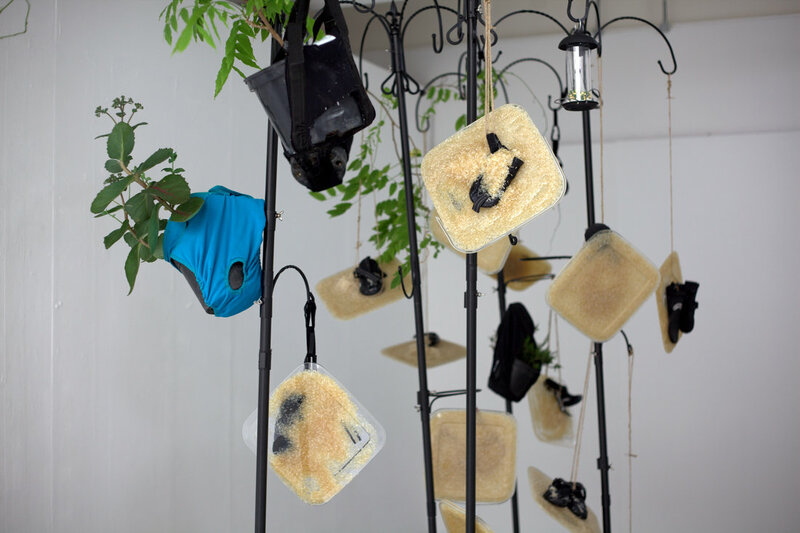 Installation, video work and other 2D works are all in the service of Shizu's obsession to keep memories alive through different ways of making. 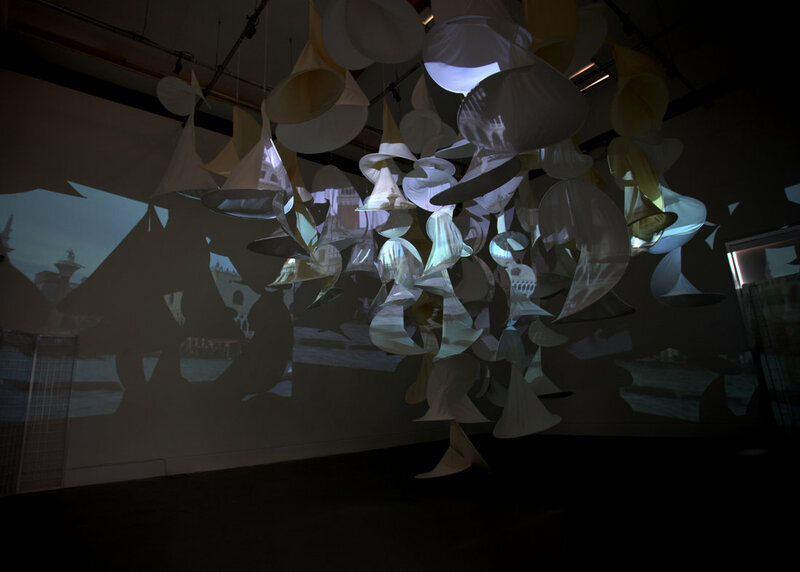 The video projections serve her practice in many ways. At times it’s close to a record or a documentary of particular memories; at other times it’s more like a painting of invented mental states or landscapes. Colour and light are also brought to the space in the speed of time through the film projection. ​ This solo exhibition, took place in Truman Brewery, Gallery 12 , London, October 2015. 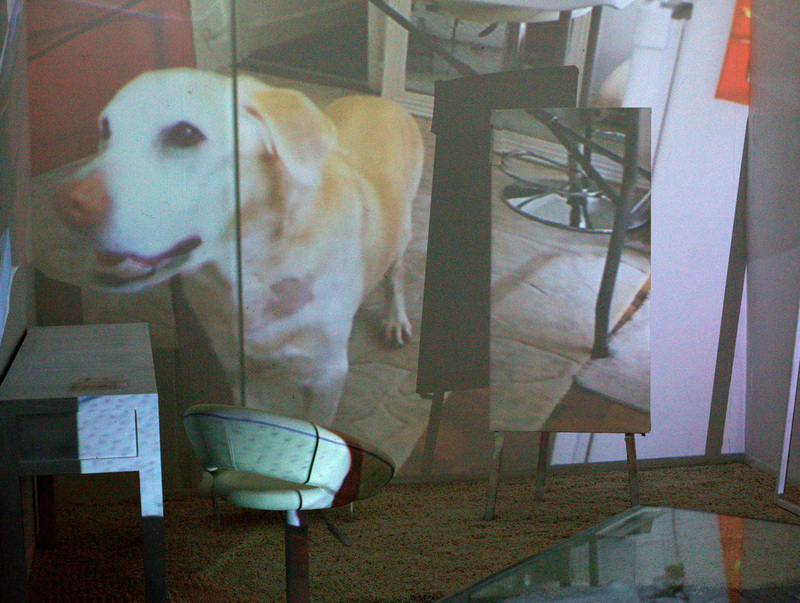 [ Lady and her Dog ] 2015 is an environmental installation which projecting a 4 hours documentary film in a white furnished room. The film shot in 3 months, capturing real moments of Shizico and her dog, Favor's life in their kitchen. 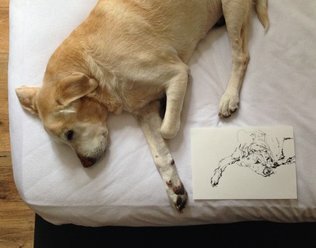 Shizu lost​ her beloved dog-son to Wobbler Syndrome after 4 years battle with this neurology disease in autumn 2017. The concept of this work is to preserve the memory by replaying these moments in life-size onto a room with authentic furniture's, bringing memory into real space and in real-time. The installation is where the past becomes now. [Morning Archive] drawings in a single zinc plate to create mono-etchings. This process pushed me trying new ways of making etching images each day. Constant Gardener is an ongoing project in memory of Favor, her beloved dog son. Started in 2015, it is a project of making a garden for then 14 years old ill Favor to recover from. Shizu lost her beloved dog-son to Wobbler Syndrome after 4 years battle with this neurology disease.